A little more than a year and a half before his passing, J. Gordon Hardy, former mining engineer and later President of Falconbridge Nickel Mines, was able to see his namesake mine and mill start production in 1955. The establishment of the Hardy complex was the beginning of Falconbridge’s development of its west end and was followed by several mines and two more mills. Hardy was always the smallest mill in the company’s suite and the camaraderie of its employees was envied elsewhere within the company. In the fall of 1969, a group of young men at Hardy Mill got together and decided to have a little fun playing a friendly game of shinny hockey on the outdoor rink in Onaping, Falconbridge’s company town. Al Stacey, Jim Craig and Jack MacLellan, who worked in various departments of the mill decided to arrange a game for a Friday or Saturday night. It was planned to make it a competition between the office and lab employees and the mill mechanics. Due to the “intensity” of this great match, in freezing temperatures, it was decided that thirst quenching bottles of water would freeze so an alternate solution appeared on the goaltenders’ nets. A rematch was planned after the game as everyone had a great time. After a few more games it was decided that a group would be put together to challenge the Onaping Oldtimers who actually played indoors at the Levack Arena. Having a roof over their heads instead of stars befuddled so much, the Hardy boys lost their first indoor game 16-3. After playing a few more times together with borrowed equipment, the group decided to create one team. Fundraisers were carried out to be able to buy team sweaters, socks and goaltender equipment. The equipment was purchased from DeMarco Sports in Sudbury in the colours of the Boston Bruins. It has been lost in time why the colours of the Bruins were chosen, but it is likely the drawing of a team crest by the late Don Cholmondeley may have been the reason as the teams’ name “Hardy Hockey Club” fit neatly in that design. As it was, Jack MacLellan was a fierce Maple Leaf devotee and there was no shortage of Montreal Canadien supporters in the mill. With the organization of the Hardy Hockey Club, Al Stacey who had found out in the meantime that goaltending was not his strength, became the coach, while Jack MacLellan was chosen Captain and Assistant Captains Don Cholmondeley and Don Cook were named. Ice times were arranged at the Dowling arena on Thursday nights between 9:30 pm and 11 pm. Each week games would be arranged with other old-timer teams in the area including Dowling Oldtimers, Onaping Oldtimers, Falconbridge Oldtimers, Azilda Oldtimers and Barrydowne Oldtimers. 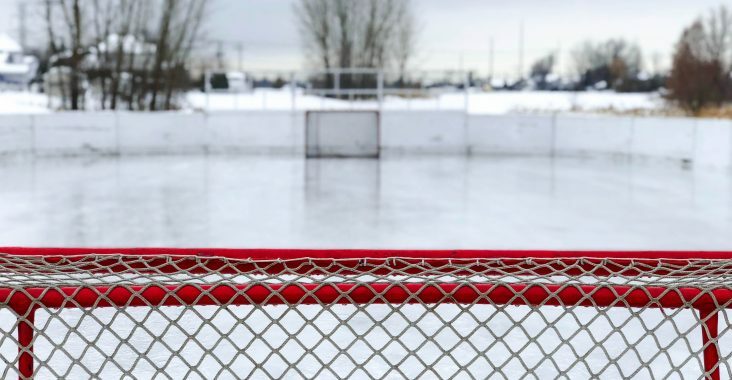 Throughout the years the team has played on outdoor rinks and in many local arenas as well as on the road including in Little Current, New Liskeard, Mattawa, Toronto and Verner. Money was raised to support the team by running hockey pools, stags and raffles. Also, working at the Dowling Winter Carnival with setup of games, running the Malamute Saloon and hosting a few hockey house-league tournaments at the Dowling arena. Falconbridge Nickel Mines (now Glencore) was generous each year with a donation to the club based on the number of active recorded members. When Al Stacey left due to job commitments in 1978 Don Cholmondeley took over his position as well as playing and Jim Larocque came onboard as coach. Don Cook and Brian Abrams took over Don Cholmondeley’s’ duties when he stopped playing in 1995. In 2005 Jack MacLellan retired after 35 years with the club. When Don Cook retired in 2006 Chris Kiernan then handled the teams’ interests which he is continuing to do to this day. We always had a solid core of players, however, when we were short we would pick up a player or two for a game thus the number of players that played over the years is well over a hundred. Over the years, the purpose of this organization was to go out and have some fun once or twice a week. There was never any stress about having to win because it really wasn’t about the game itself but about the camaraderie and the kibitzing, trick playing and friendly insults. This is what the Hardy Hockey Club is all about and why it is still operating to this day.